42 Days of Guided Inner Work. 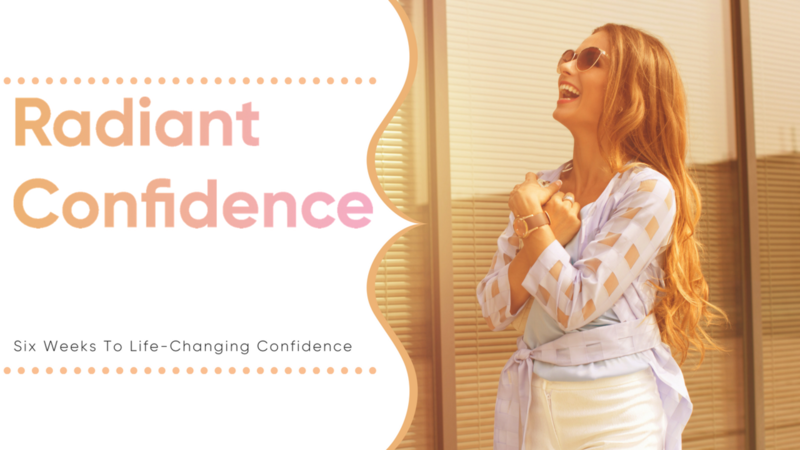 You will get an email from me every day for 6 weeks with a concrete action item towards building your confidence. These are the actual journal prompts, strategies, processes, and tools I use to cultivate self-love, overcome fear and anxiety, and maintain bold, radiant confidence every single day. Live Q&A. Every 2 weeks, you’ll have the opportunity to ask me questions, clarify your doubts, and practice powerful confidence-building strategies with other amazing people like you. Life long Access. During the 42-day program, you will have lots of time to hone your skills and build confidence. But feel free to use the daily prompts and modules at your own pace. You have all content for life so you’ll always be able to return to the lessons and reinforce the skills you’ve learned. Bonus: My Radiant Confidence Meditation. This is the exact meditation I use any time I’m feeling vulnerable, scared, or frustrated with myself. Within 15 minutes, I’m back in the zone and ready to take on the world. This is a valuable tool for those times in your life when you need to take some time to reset and return to the world stronger than before.